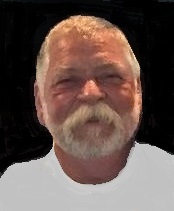 Harold Dean Holder died January 17, 2019 in Norman, Oklahoma at the age of 65 years 11 months 16 days. Funeral Services are scheduled for Monday, January 21, 2019 at Wadley’s Funeral Chapel. Interment will follow at the Lexington Cemetery entrusted to the care of Wadley’s Funeral Service. Dean was born February 1, 1953 in Lexington, Oklahoma to Harold Isaac and Fannie (Hamm) Holder. He was raised and attended school in Lexington until the 11th grade. He graduated High School in 1971 in Wheatley, Arkansas. During his life, Dean had worked many jobs, but mostly as a truck driver. He enjoyed working outside, and going deer hunting. He tried to always stay busy doing a project of some kind. Dean loved spending time with his family, especially his grandchildren. Dean is preceded in death by his father, Harold Holder; and an infant brother, Marcus Holder. Survivors include his mother, Fannie (Hamm) Holder; sons, Shannon Holder and wife, Kathy; Shane Holder and wife, Jae Lynn; grandchildren, Dalton Holder, Brody Holder, Zayn Holder, Kynzee Holder; siblings, Ellen Sutton, Virginia Freeman and husband, Ron, June Hays and husband, Merl, Gary Holder and wife, Ginny and many other relatives and friends.